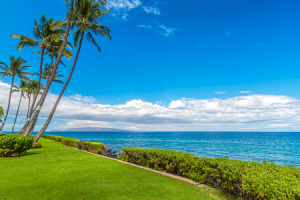 Beach Bliss and Water Wonders in Kihei, Maui, Hawaii - Hawaii has long been considered the ultimate island paradise for Americans seeking a local getaway. That is because Hawaii, and Maui in particular, host some of the best beaches and water recreation that you can find. If you are planning on an oceanside vacation, rent a Kihei beach house for maximum fun in the sun, sand, and waves. Learn more here! Listed below are other beach properties within a 50 mile radius of zip code 96753. Shores of Maui #211 1Bd1Ba Ocean View, Cove Beach, Best Location! Beach Bliss and Water Wonders in Kihei, Maui, Hawaii - Hawaii has long been considered the ultimate island paradise for Americans seeking a local getaway. That is because Hawaii, and Maui in particular, host some of the best beaches and water recreation that you can find. If you are planning on an oceanside vacation, rent a Kihei beach house for maximum fun in the sun, sand, and waves. Kihei is located on Maui island. The key attraction here is the beautiful emerald water of Maalaea Bay. Because of the arid and temperature-steady conditions of this locale, you can expect sunny skies, warm weather, and a breeze all year-round. When you rent a Kihei beach house, you will be living just steps from your next beach adventure. Kamaole Beach Park has three beaches that are perfectly suited to families with kids. Outdoor showers and restrooms are nice conveniences, and lifeguards are standing by to keep everyone safe. The water here is gentler, and the slope of the beach is very gradual, meaning that you can venture further into the waves and still have sand under your feet. These beaches are all about enjoying the beach ambiance and natural beauty at a leisurely pace. Teens and adults looking for more action will appreciate the many activity venues provided at Kalama Beach Park, like âthe coveâ surf spot, beach volleyball courts, a roller rink, basketball courts, tennis courts, a skate park, and baseball fields. A playground for younger children is also available here. You may see the roller rink hosting a game of inline hockey for the Maui Inline Hockey Association or the Maui Roller Girls, but it is also open to the public three days a week (protective gear is provided). There are many ways to make the most of your time in the calm and sparkling waters of Kihei. If you want to try your hand at surfing or stand-up paddling, this is the ideal place to learn. Surf and stand-up paddle board lessons and gear rentals are available on the island, which will give you everything you need to make your dream of surfing in Hawaii a reality. Hawaiian Paddle Sports is particularly well regarded, and in addition to lessons for these water sports, they offer canoe tours guided by certified marine naturalists, and kayak tours for people who want a more private experience. If you want a more low-key water adventure, try snorkeling. You can snorkel off of the beaches at Kihei on you own or with a guided snorkel tour, or you can take a short drive to "Turtle Town" (Maluaka Beach). While this is not the biggest snorkeling spot, it definitely affords the biggest chance of seeing a Green Hawaiian Sea Turtle, thanks to the Endangered Species Act. These turtles grow up to five feet long and weigh an average of 150 to 419 pounds as adults. Snorkeling with sea turtles is definitely an adventure for your bucket list! When you are ready for a break from all of this excitement, you can head back to your Kihei beach house rental, which is essentially your home away from home in Hawaii. Hop in the shower to clean off the sand, gather as a family to make lunch in the kitchen, and then grab a quick afternoon nap in your individual rooms;so that you can be ready to hit the beach again!